Challenge Detroit – Can a parking deck spark an urban revitalization? 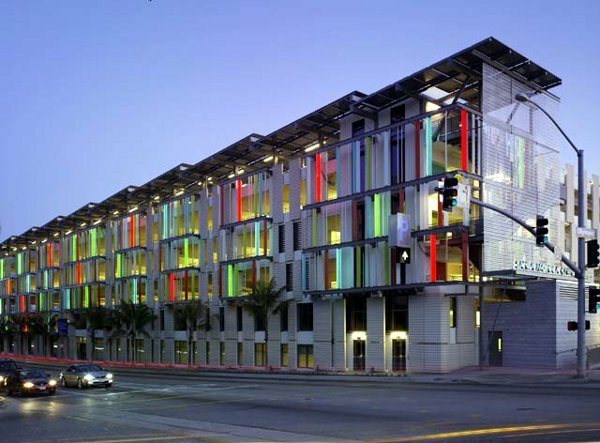 Can a parking deck spark an urban revitalization? Last week, Quicken Loans founder and Chairman Gilbert announced through his development arm Rock Ventures it will build a 1,300-space parking garage with 33,000-square feet of retail space in downtown Detroit. It will zig-zag from the corner of Broadway and East Grand River (YMCA) to the corner of Library and Gratiot, which can be seen in the following image. Is this the highest and best use of the land based on it’s relative location and perceived/real value? How does it add value or what magnitude does it add value at each scale (street, block, neighborhood, district, city, region)? Does it solve a high or medium priority unmet need or want? What city system is it a part of (housing, parking, parks, energy, transit, etc) and if we stepped back and took a systems thinking perspective, what is driving this need and why, is this contributing to the system or is it an indicator of a system failure? 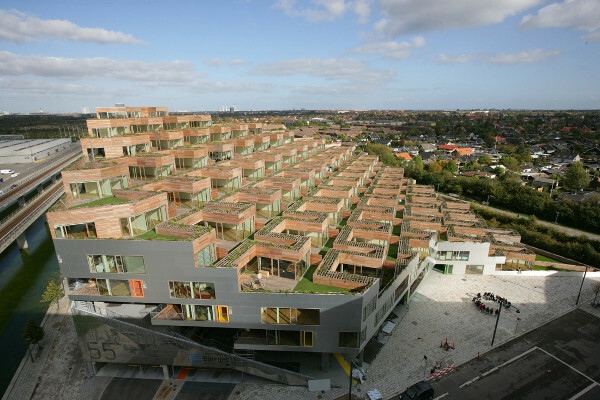 Has the building design and use maximized the number of city systems/needs/wants/uses it serves? Have similar existing assets been fully utilized – what are those barriers/costs? Is it addressing a problem and is that truly a problem, why? 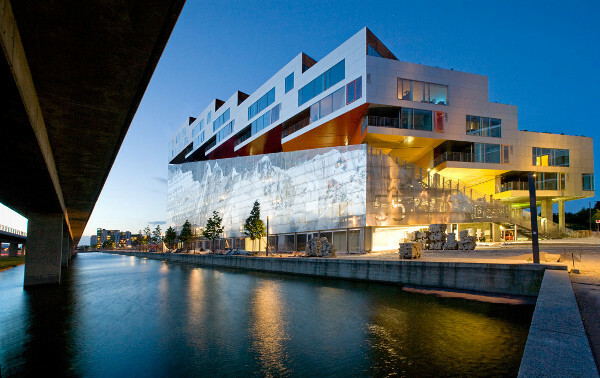 Is the design and location appropriately aligned to the role of the building’s pupose in society. Does the design and use adequately respect the value of the location? How does it address and enhance the public realm? How does it contribute to the Power of 10 Principle of urban placemaking? 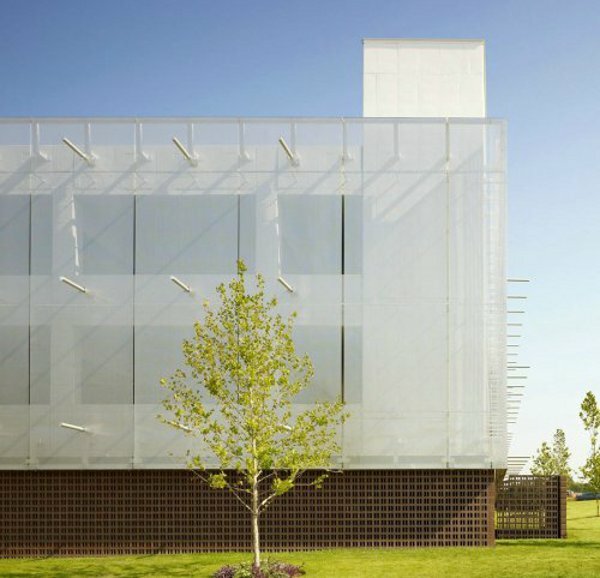 How does the design lift, challenge, or push forward the human spirit? Does it advance environmental, social, and public health goals in both its purpose and its construction? Does it advance transportation choice diversity? Does it embrace universal design? These questions represent the basic tools to begin to objectively evaluate the merits of a project like this garage, I will not attempt to answer these questions in this space, but rather help provide some context with a parking map and an overview of great parking garage design, so you can make your own judgements. View this Parking Inventory map of Downtown, Midtown and New Center. Within one block on either side of the proposed garage there are already garages with 826 spaces and 750 spaces. 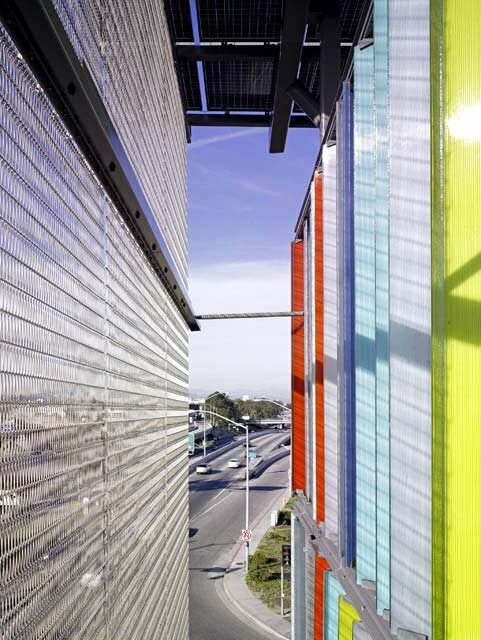 Within 2 blocks there are major garages with 2,700 spaces, 250 spaces, 540 spaces. Downtown alone has about 62,000 of the 108,000 parking spots along this corridor. Without knowing the utilization levels of all of this parking, it is apparent that downtown has quite a lot of parking, especially in the vicinity of the proposed garage. This leads us to consider how existing downtown parking could be more fully utilized. Maximize the effectiveness of your existing asset before building a new one. 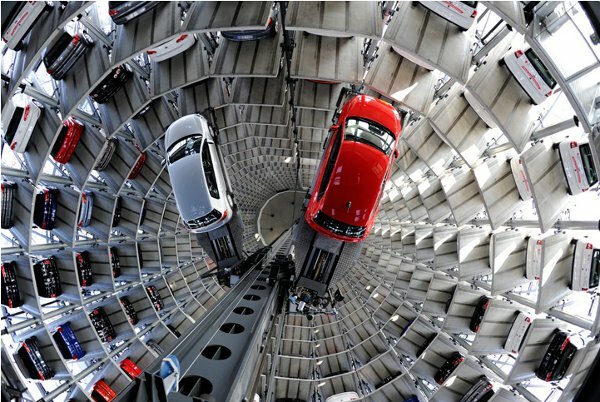 The best new parking garages utilize “automated vehicle guidance systems,” essentially vehicle counting and detection systems to track in real time empty parking spots and report them on live signage spread throughout streets around downtown-directing drivers where there are parking garages with available spaces. Once entering the garage tiny green and red lights direct you to the nearest free spot. As soon as you park in the spot, the sensor detects your car and that spot is taken out of inventory and the tiny light above your car turns from green to red. Donald Schoup, the master of parking, noted in a recent study of New York traffic estimates that 28% of drivers in Manhattan and 45% in Brooklyn were cruising for parking. In Los Angeles, a study of a 15-block area estimates that drivers circling for parking cause 950,000 excess vehicle miles per year. This translates to 47,000 gallons in wasted gas and 730 tons of carbon dioxide greenhouse gas. To see more on this topic, read Donald Schoup’s The High Cost of Free Parking. 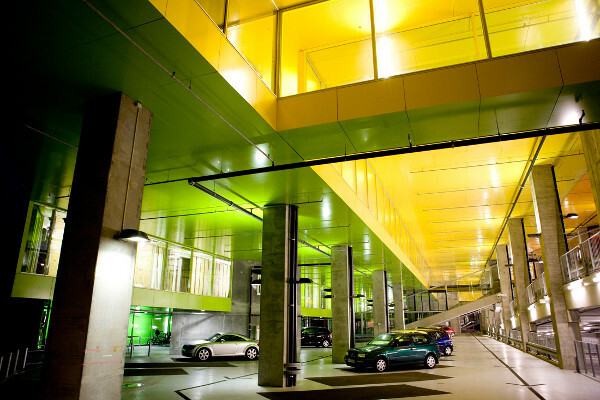 It costs upwards of $20k-$30k per spot to construct an above ground open air parking deck. The total cost of verticalizing (densifying) parking in Detroit will be enormous, potentially in the billions of dollars. We have to ask ourselves how much of the footprint of the city and square footage of building stock are we willing to leave largely or exclusively to inanimate metal machines to sit idle not being productive, not paying taxes, not improving the economy, not contributing to society, not creating activity or life on the street. How much money and space are we willing to dedicate to that purpose, and is there a better way? The answer to that is of course yes, but that question deserves a deeper dive at another time. 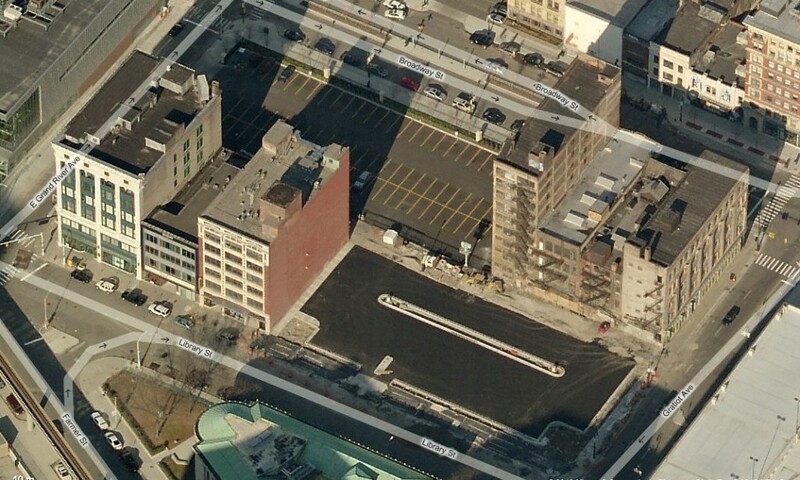 For now, if Detroit is going to continue to embrace the parking garage, but not hide it from the streetscape by putting it fully underground or behind a building, then lets consider making them the best and most exciting features of the urban landscape that they possibly can be. 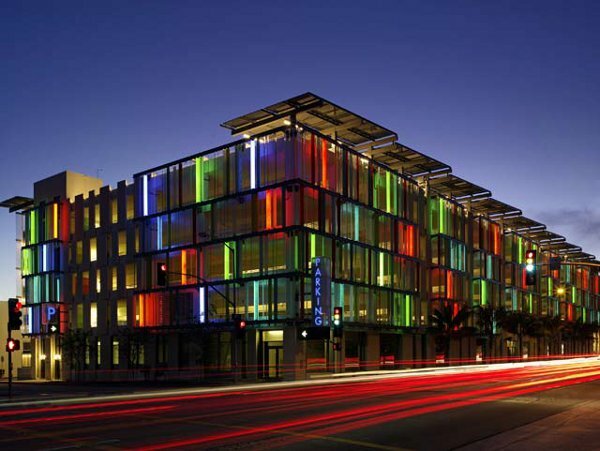 Here are a few examples courtesy of The Coolist – 10 Incredible Parking Garage Designs. This one is particularly special because it has 11 retail stores and 3 restaurants at street level, with a unique retail store at the 5th level and a rooftop restaurant and bar, and residential units with interior jungle courtyards.